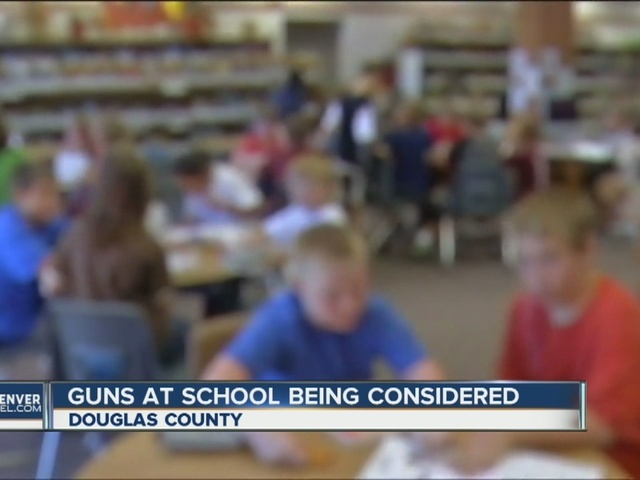 CASTLE ROCK, Colo., - More school personnel could carry firearms on Douglas County School property if a proposed plan is adopted by the school board. The board discussed allowing the superintendent authority to decide who among security staff members would be allowed to carry guns on school property. 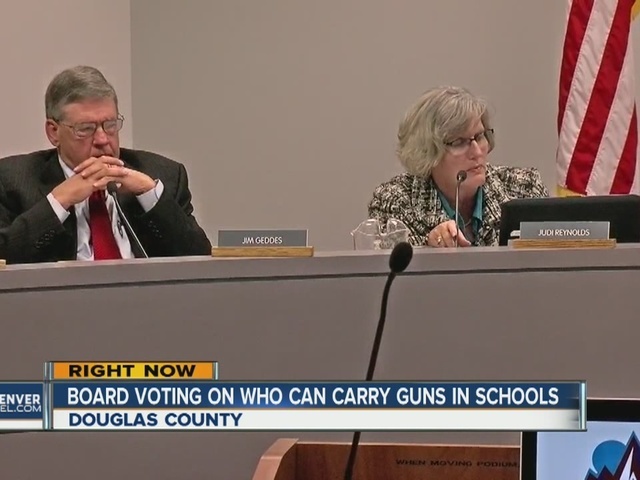 “I think allowing our superintendent that latitude, just as other districts provide, [will help] make sure that she can work... with all of those organizations that know better than we do how to provide the best security," said Meghann Silverthorn, Douglas County School Board president. Silverthorn, who brought this to the agenda, says it would only include district security personnel. Douglas County Sheriff Tony Spurlock tells Denver7 he's comfortable with the policy and how the district has handled increasing its security, and this is a standard policy around Colorado. But some parents like Liz Wagner, who's a gun advocate herself, are still concerned. “We don’t really know tomorrow what, who could be allowed to carry a gun and in what condition, and I think it said special risk, and no one’s defined what that special risk is," said Wagner. Silverthorn said the district has no intent on changing state law and allowing teachers and staff the ability to carry concealed. Douglas County State Representative Patrick Neville, who's also a Columbine survivor, tells Denver7 he’s all for the move. “This policy that they're using I think was a policy that was even endorsed by and voted on by a Democrat Speaker of the House and passed a Democrat House," said Rep. Neville, who represents District 45, which includes portions of Castle Rock and Castle Pines. This proposed policy addition ensures we continue to meet the requirements needed for the Colorado Self Insurance Pool and is not intended to change who is armed in our school district. Only members of the DCSD Safety and Security team are armed and that will not change.